Zineb Aribi fusses around her guests, smiling and chatting as she tempts them with tea and cakes. Once she sits down to talk about the past, however, the pain rises to the surface, accompanied by sobs and tears. She recently received AD900,000 ($13,000) from the government in compensation for the loss of her son Hussain, one of more than 7,000 Algerians who disappeared during the civil war of the 1990s, allegedly taken by security forces. The compensation is part of a charter for peace and reconciliation adopted last year after a referendum and aimed at consolidating Algeria's return to stability. For thousands of families whose relatives have been missing for years it has led to an emotional dilemma: should they accept the cash? Many are poor and the compensation could help ease their financial difficulties, particularly for the elderly or women raising families without their husbands. But to receive the cash they must first obtain a death certificate for their missing loved ones. That poses painful questions: by agreeing to a death certificate, are they acknowledging that their relatives are dead? Are they inadvertently helping to bury the cases of the disappeared for good, even though little, if anything, is known about their fate? The issue has caused divisions among groups representing the families. Some have advised them to accept the compensation, while continuing to press the government for answers on what happened. Others argue it should not be taken until the truth is known. The predicament is exacerbated by suspicions that the government introduced the charter simply to draw a line under what happened and protect the powerful military establishment. "They [the government] think they will make us forget our children but they... will not be able to," Aribi says. More than 150,000 people were killed in the conflict that erupted in 1991 after the military cancelled elections that an Islamist movement was expected to win. The population was caught between religious extremists and oppressive security forces and questions about who killed whom remain. "Everything is being done to push it under the carpet," says Fatima Yous, an official with SOS Disparus, an organisation that represents relatives of the disappeared. "I will not sell my son. I want the truth," says another woman in the office, its walls plastered with head shots of missing people. Officials admit some security forces committed illegal acts and were responsible for many of the disappearances. But the charter prevents the prosecution of members of the security forces. It also says anyone using speeches, writing or other acts to harm state institutions or undermine the "good reputation of its agents who honourably served it" faces three to five years in prison and large fines. Now families are wondering how they will discover the truth about their relatives. In February, police prevented a seminar, organised by associations representing both victims of Islamist attacks - relatives of whom are equally frustrated by the charter - and families of the disappeared, from taking place at an Algiers hotel. Mustapha Farouk Ksentini, president of the state's human rights commission, says the seminar was stopped because the group lacked the correct permit. He says he understands the predicament of the victims' families but that there is no evidence to prosecute those responsible. About 70 per cent of the families of the disappeared have accepted compensation, he adds. But the guilt burdening Aribi is clear. She struggles to explain why she took the compensation. Initially she says it was because she was worried she could die with the case left hanging. Later she says the government took her son and she could not let it keep the money too. The night her son disappeared in December 1993, men in uniforms entered the flat asking about her children. When she told them she had three sons and Hussain - 18 at the time - was the eldest, they went into the boys' shared bedroom and marched out with Hussain, reassuring her he would only be questioned. "I'm not feeling very good because... that night, I was the one who delivered him to the police and, after many years, I was the one who went to declare him dead," she says. The truth about what happened to Hussain and thousands like him may never emerge. Asked if the file on the disappeared is closed, Ksentini says: "I think so." It will be up to historians to write the truth, he says. The International Secretariat of the OMCT has received new information from a reliable source and from Antenna International, member organisation of the SOS-Torture Network, on M. Abdelaziz Zoubida’s whereabouts. 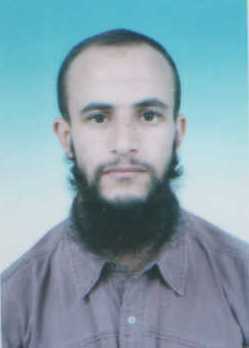 Mr. Abdelaziz Zoubida, a 25 year-old student who had gone missing on 11 April 2007, was located on 28 April 2007 in the Serkadji prison in Algiers. Since then, his brother was allowed to visit him in prison. The charges against him and the date when he will be presented before court remain unknown to this day. The International Secretariat of the OMCT welcomes that Mr. Abdelaziz Zoubida has been located. Nevertheless, it remains highly concerned about his arrest and the risk to his physical and psychological integrity. OMCT recalls that Algeria is Party to the United Nations Convention Against Torture and Other Cruel, Inhuman or Degrading Treatment or Punishment, which prohibits torture and all other ill-treatment. Furthermore, Algeria is also Party to the International Covenant on Civil and Political Rights, which states in its article 9.1 that no one shall be subjected to arbitrary arrest or detention. The International Secretariat of the OMCT was informed of the arbitrary arrest and disappearance of Mr. Abdelaziz Zoubida in the city of Constantine. According to the information received, Mr. Abdelaziz Zoubida was arrested on 11 April 2007 around 19:45 by agents of the Department for Information and Security (DRS- Département du renseignement et de la securité). The arrest took place at the university residence’s hall in Constantine. The morning of his arrest, some agents came looking for him while he was in class. Later that day, once he was back in his room, one of the university guards informed him that some visitors were waiting for him at the entrance hall of the building. M. Abdelaziz Zoubida made his way down to the entrance hall and was not to be seen again since. According to the same information, when Mr. Zoubida’s friends noticed that he had not come back, they alerted the guards. The guards then informed them that Mr. Abdelaziz Zoubida had been arrested by two DRS agents. The agents had come onboard a grey Cielo automobile with Algiers licence plates, and had presented no warrant of arrest. Mr. Abdelaziz Zoubida’s friends immediately alerted the Police brigade, who assured them that an investigation would be launched into these events. Nevertheless, there had been no news. When the organisation Association of the Families of Disappeared Persons in Algeria (CDFA - Collectif des Familles de Disparu(e)s en Algérie) informed Mr. Abdelaziz Zoubida’s family of the situation, the Zoubida family immediately went to Constantine to register a formal complaint. Accompanied by the president of the NGO SOS-Disappeared (Comité de Sos Disparus), they reportedly met the guards at the residence’s hall before heading to the National Police Brigade of Zouaghi. The Brigade’s commanding officer allegedly claimed to know nothing of Mr. Abdelaziz Zoubida’s whereabouts. Mr. Abdelaziz Zoubida’s family registered a complaint before the Public Prosecutor of the Court of Ziada (Procureur de la République près le Tribunal de Ziada). Then they went to the “Territorial Intelligence and Enquiry Centre” (CRDI - Centre territorial des renseignements et des investigations) of the Ministry of Defense, where the officials reportedly stated to have no information on Mr. Zoubida’s whereabouts. 4. Ensure the respect of human rights and fundamental freedoms throughout the country in accordance with national legislation and international human rights standards. Please also write to the Algerian diplomatic representations in your country. The International Secretariat of the World Organisation Against Torture (OMCT) requests your urgent intervention in the following situation in Algeria. The International Secretariat of OMCT has been informed by a reliable source as well as by Antenna International, member organisation of the SOS-Torture Network, of the arbitrary arrest and disappearance of Mr. Abdelaziz Zoubida. Mr. Zoubida is a 25 year-old student in the city of Constantine. According to the same information, when Mr. Zoubida’s friends noticed that he had not come back, they alerted the guards. The guards then informed them that Mr. Abdelaziz Zoubida had been arrested by two DRS agents. The agents had come onboard a gray Cielo automobile with Algiers licence plates, and had presented no warrant of arrest. Mr. Abdelaziz Zoubida’s friends immediately alerted the Police brigade, who assured them that an investigation would be launched into these events. Nevertheless, there has been no news of his whereabouts since then. The International Secretariat of the OMCT is gravely concerned with the arrest and disappearance of Mr. Abdelaziz Zoubida, as well as with the risk of torture to which he is consequently vulnerable. OMCT calls on the Algerian authorities to locate him as soon as possible and to guarantee his physical and psychological integrity. OMCT recalls that Algeria is Party to the United Nations’ Convention Against Torture and Other Cruel, Inhuman or Degrading Treatment or Punishment, which prohibits torture and all other ill-treatment. Furthermore, Algeria is also Party to the International Covenant on Civil and Political Rights, which states on article 9.1 that no one shall be subjected to arbitrary arrest or detention. v. Ensure the respect of human rights and fundamental freedoms throughout the country in accordance with national legislation and international human rights standards. Le Secrétariat international de l’OMCT a été informé par une source fiable et par Antenna International, organisation membre du réseau SOS-Torture, de l’arrestation arbitraire et de la disparition de M. Abdelaziz Zoubida, étudiant âgé de 25 ans, à Constantine. Selon les informations reçues, M. Abdelaziz Zoubida, a été arrêté le 11 avril 2007 vers 19h45 par des agents du Département du renseignement et de la sécurité (DRS) à la cité universitaire de Constantine. Des agents étaient venus le chercher le matin même au moment où il suivait des cours. De retour dans sa chambre, il aurait été informé par un des gardiens de l’université que des visiteurs l’attendaient à la loge de la cité universitaire. M. Abdelaziz Zoubida s’y est rendu et n’a pas réapparu à ce jour. Selon les informations, ses amis, ne le voyant pas rentrer, ont averti les gardiens qui les ont informés que M. Abdelaziz Zoubida avait été arrêté par deux agents du DRS venus sans mandat d’arrêt, à bord d’un véhicule Cielo gris immatriculé à Alger. Ses amis auraient alors prévenu la Brigade de gendarmerie qui les aurait assurés de l’ouverture d’une enquête. Toutefois, depuis aucune nouvelle n’aurait pu être obtenue. La famille, prévenue par le Collectif des Familles de Disparu(e)s en Algérie (CDFA), s’est immédiatement rendue à Constantine afin de déposer plainte. Accompagné du responsable du Comité de Sos Disparus, ils auraient d’abord rencontré les gardiens de la cité universitaire avant de se rendre à la Brigade de gendarmerie nationale de Zouaghi. Le chef de brigade aurait prétendu ne rien savoir sur le sort de M. Abdelaziz Zoubida. Après avoir déposé une plainte auprès du Procureur de la république près le Tribunal de Ziada, la famille de M. Abdelaziz Zoubida s’est rendue ensuite au Centre territorial des renseignements et des investigations (CRDI) du Ministère de la Défense, où les agents auraient affirmé n’avoir aucune information sur le disparu. Le Secrétariat international de l’OMCT exprime sa plus vive inquiétude quant à l’arrestation et à la disparition de M. Abdelaziz Zoubida et aux risques de torture encourus, et prie les autorités algériennes de le localiser au plus vite tout en garantissant son intégrité physique et psychologique. L’OMCT rappelle que l’Algérie est partie à la Convention des Nations Unis contre la torture et autres peines ou traitements cruels, inhumains ou dégradants qui prohibe la torture et les mauvais traitements. Par ailleurs, l'article 9.1 du Pacte international relatif aux droits civils et politiques, auquel l'Algérie est également partie, prévoit que nul ne peut faire l'objet d'une arrestation ou d'une détention arbitraire. v. Garantir le respect des droits de l’homme et des libertés fondamentales à travers le pays selon les lois nationales et les instruments internationaux des droits de l’homme.